A new school logo for USF that cost nearly $50,000 to design and refine is a huge dud with students, who have started a petition to bring back the old academic logo. TAMPA, Fla. — A new academic logo for the University of South Florida that cost nearly $50,000 to design and refine is a huge dud with students, who have started a petition to bring back the old academic logo. Call it a bull brouhaha! USF students are not happy with the new school logo that’s already gone through a redesign and is now costing the bay area-university approximately $47,000. The new logo is a bright arty bull with ornate “USF” lettering and it debuted in September 2018. And after the university received negative feedback on the logo, they made slight revisions this month. The revisions were made "to address feedback from our audiences, as well as campus communicators regarding evolving challenges with printing, signage and apparel applications," according to a spokesperson for the university. 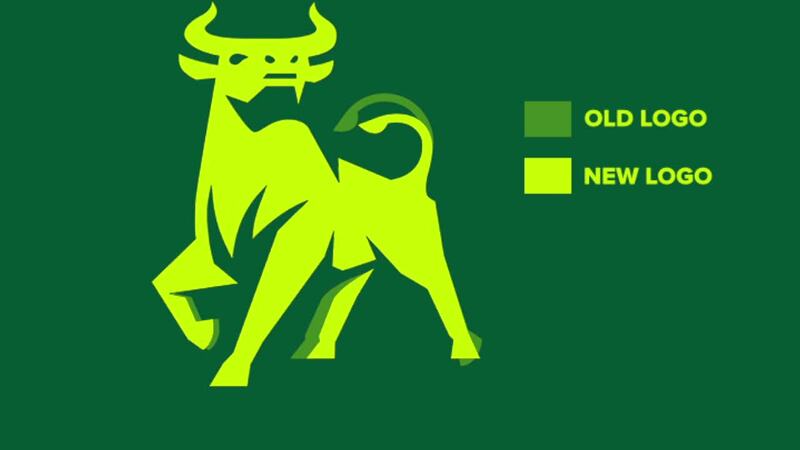 Calling it everything from “laughable” to a ripoff of finance company Merrill Lynch’s own bull mascot, students have started a petition to bring back the old USF logo: the “U” with bull horns. Other complaints about the logo introduced in September 2018 involve the new logo’s colors, which are a brighter green and yellow than the school’s classic dark green and gold. After paying nearly $8,000 for a redesign — the changes include a shorter bull tail, slightly different leg placement, a connection of the front leg to the rest of the body — USF says they’re sticking with the new logo. Approximately six months ago, USF student Alexis Loukota started the petition to keep the current logo , claiming that the student and alumni body didn't approve of the new USF academic logo featuring the bull. In just six months, the petition has received nearly 7,500 signatures. Students are requesting the school go back to the original USF academic logo. See below. Students hope the petition changes their mind. WFTS reached out to the school about the petition. A spokesperson says "we appreciate having such passionate supporters of the university, who want to see USF excel in all areas" and "there are no plans to make additional changes to the logo at this time."